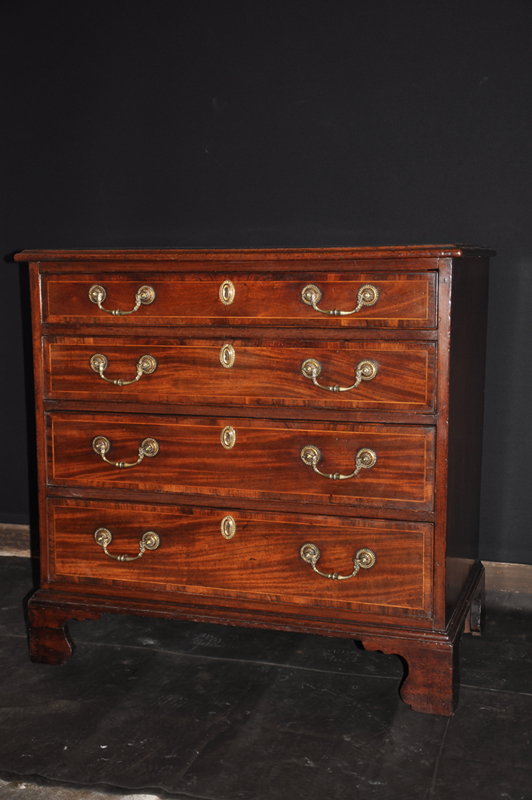 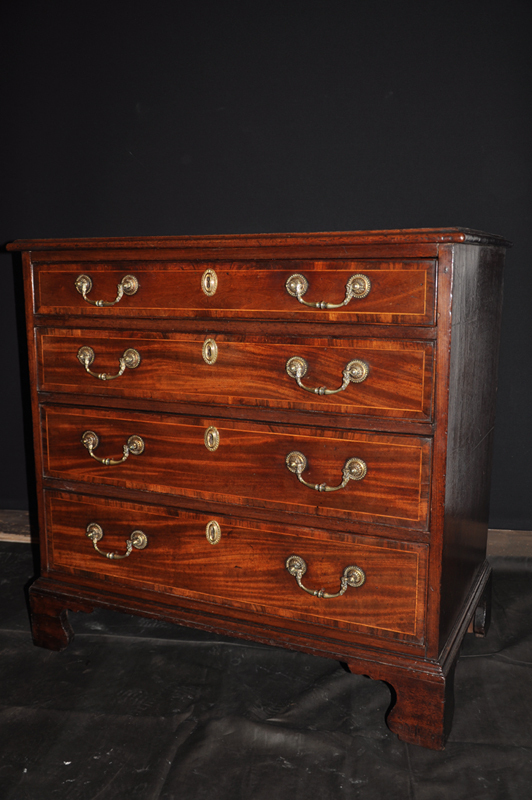 A superb quality 18th century Mahogany chest of drawers of small proportions with Kingwood banding and a fine boxwood stringing. 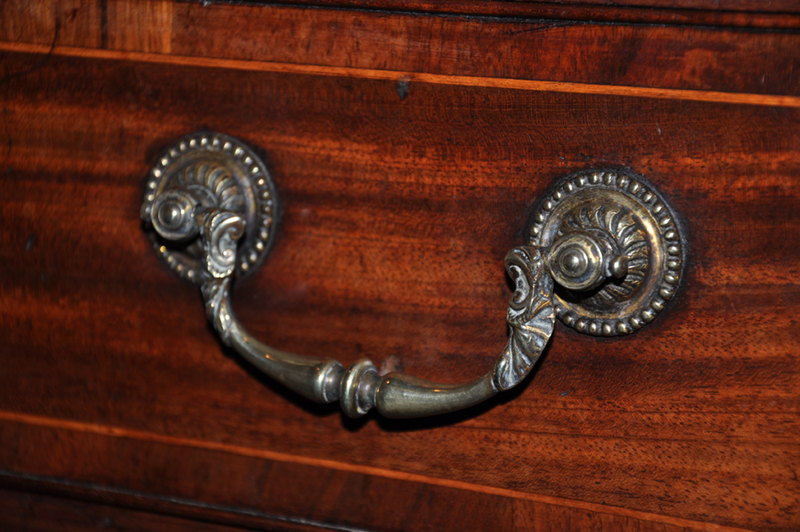 Retaining the original handles ,feet and locks. 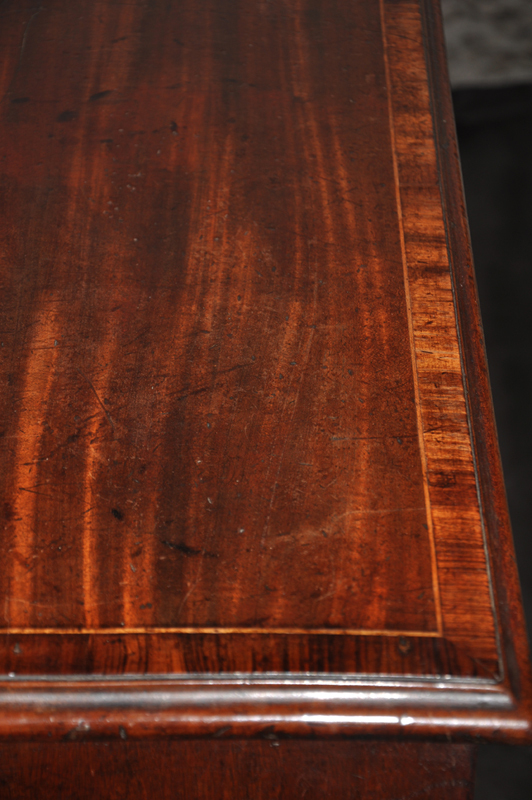 The colour and condition of the piece is wonderful. 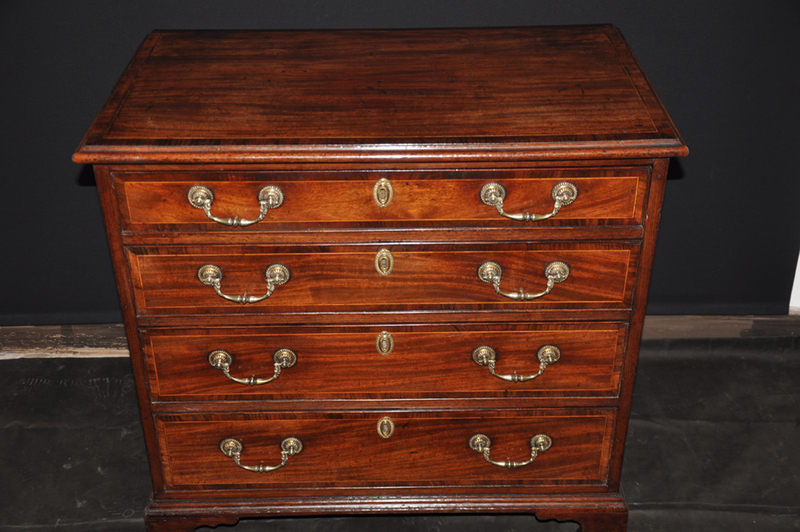 It is interesting to note that as with many of the better quality pieces of the period the Mahogany veneer of the finest quality has been veneered on a mahogany ground work.